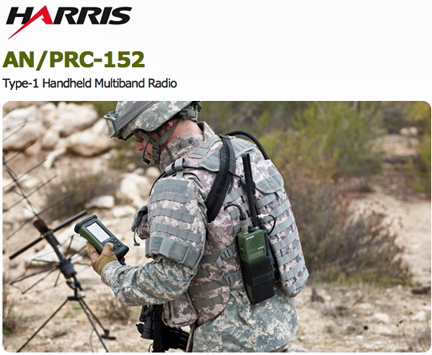 [SatNews] Harris Corporation (NYSE:HRS) has received $38 million in orders for tactical radios that will expand deployment of wideband tactical communications across the U.S. Air Force—the orders were received during the fourth quarter of fiscal 2013. Harris will supply the Air Force with additional Falcon III® AN/PRC-117G multiband manpack and AN/PRC-152A multiband handheld tactical radio systems. The radios will accelerate the rollout of Joint Tactical Radio System (JTRS) wideband networking capabilities to para-rescue, combat communications and other Air Force personnel. Falcon III is the world’s most widely fielded family of next-generation tactical radios, providing enhanced situational awareness of the battlefield through integrated line-of-sight, beyond-line-of-sight and wideband communications capabilities. Harris has shipped more than 40,000 AN/PRC-117G and AN/PRC-152A radios to all branches of the U.S. military as well as more than 15 allied nations. Falcon III radios have been exhaustively tested in field exercises, laboratory environments and on the battlefield. 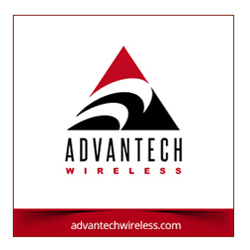 Lightweight and portable, both radios are equipped with the Harris Adaptive Networking Wideband Waveform, which enable military forces to interoperate seamlessly with battle management software applications for enhanced situational awareness. The radios are certified to operate JTRS Soldier Radio Waveform and support other key U.S. Air Force capabilities, such as the HAVEQUICK and APCO Project-25 waveforms.